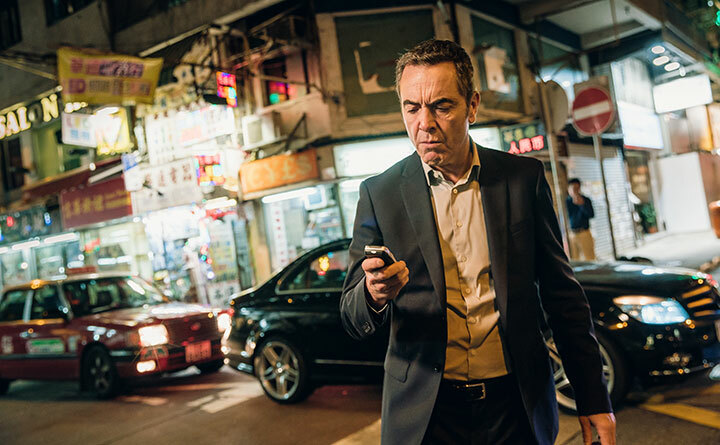 James Nesbitt heads to the Far East for a third season of Stan Lee’s Lucky Man, which continues the story of a man bestowed with the power of eternal luck. DQ meets him in Hong Kong to find out more. This is a first. Drama Quarterly is invariably transported to a television set in the back of a cramped and slightly run-down production minibus. But today is rather different; we are being taken to visit a location on a sampan from Hong Kong Island. As we look out over a marina filled with the sort of superyachts that even Russian oligarchs might covet towards some of the most expensive property on the planet, we could get used to this. The sampan deposits us at The Jumbo Floating Restaurant, the most famous eatery in the country. The giant six-storey barge, festooned with elaborate carved wooden animals, is being used as a location for a key scene from Stan Lee’s Lucky Man. At the venue, which has also been employed as a location in movies such as Skyfall and Internal Affairs 2, more than 50 supporting artists have gathered. They are being dressed up to play waiters and market traders selling fruit and vegetables, cooking utensils and dumplings. Meanwhile, a stunt rider is revving his motorbike in preparation for a daring sequence along the upper deck of the restaurant. The producers are really giving this scene some welly. The whole scene is redolent of authentic Hong Kong life. 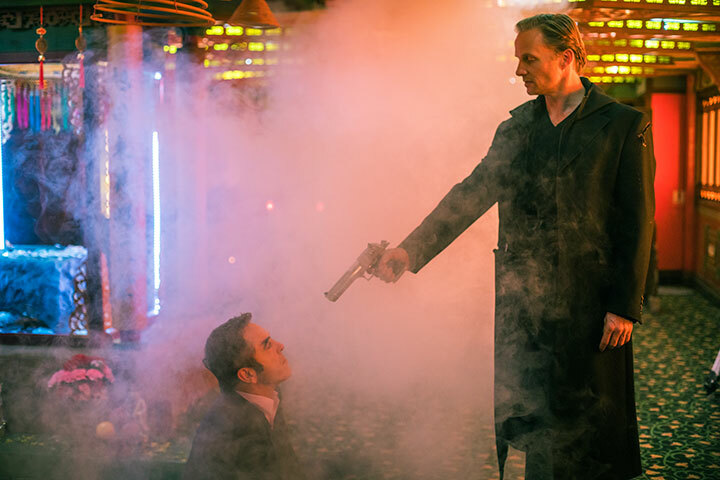 The barge is the location for a complex fight sequence at the restaurant between the show’s hero, Harry Clayton (James Nesbitt) and new enemy Samuel Blake (Rupert Penry-Jones). In this entertaining series created by comic book genius Stan Lee (who is also behind Spider-Man, The X Men and Iron Man), Blake has arrived in Hong Kong in search of Harry. This implacable baddie will stop at nothing to take possession of the bracelet that gives Harry the superpower of being eternally lucky. The fact that Blake is impervious to pain only helps his villainous quest. 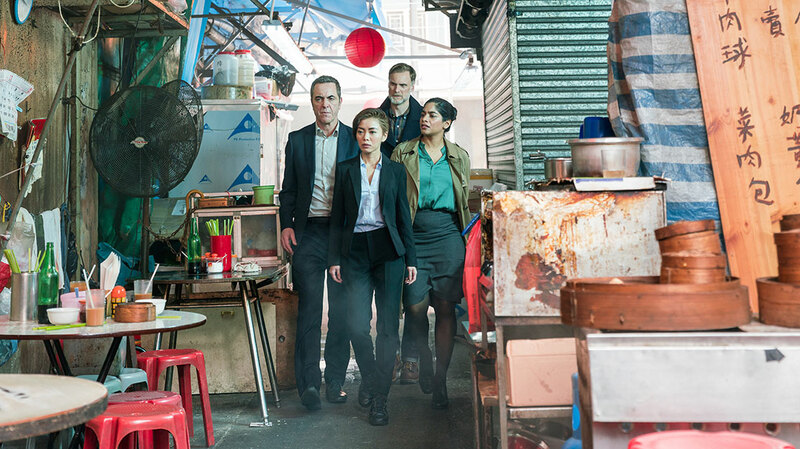 This third season of Stan Lee’s Lucky Man, currently airing on Sky One in the UK, captures the vivid essence of Hong Kong, a breath-taking mixture of Eastern and Western cultures. It is a unique ambience that would be simply impossible to conjure up at Shepperton. 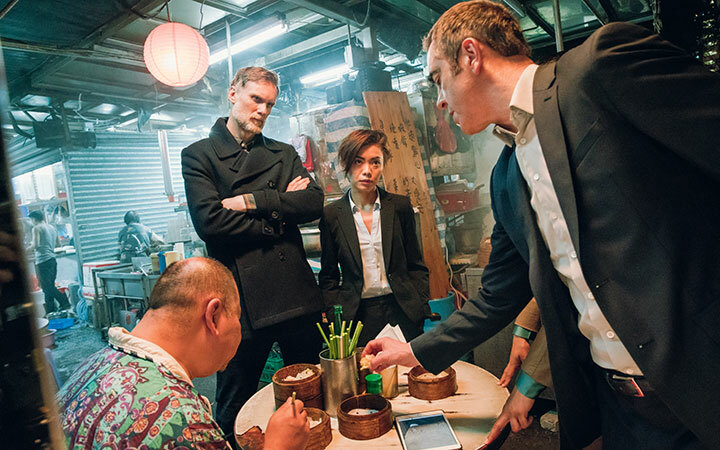 Nesbitt underscores that this Hong Kong-set season could not have been shot anywhere else. 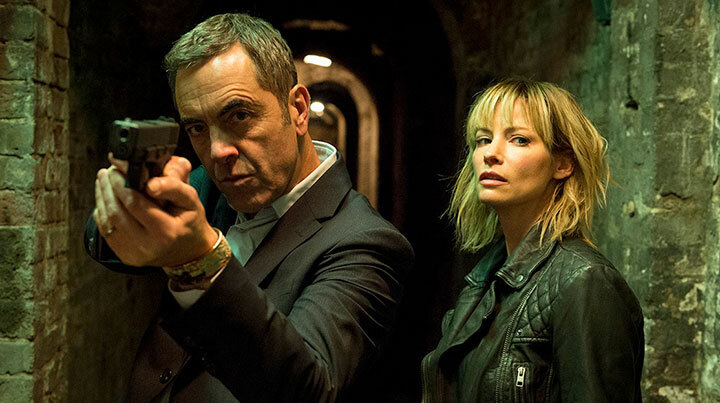 “This place is a one-off,” enthuses the actor, who has also starred in Cold Feet, The Hobbit, The Missing, Bloody Sunday, Five Minutes of Heaven, Occupation and Murphy’s Law. “It’s so exciting to be filming here. You have the joy of immersing yourself in a new and vibrant culture. Hong Kong is a fabulous city to set this show. The entire place has a real sense of urgency. Visually, it’s stunning too. It has these extraordinary skyscrapers and also this astonishing street life. You only have to look out of the window to see the real collision between the wealthy and the not so wealthy. It’s teeming with all kinds of life. Which is not to say that there are not immense challenges involved in filming in Hong Kong. Chu, who has previously worked on many enormous Hollywood productions in Hong Kong, including Batman: The Dark Knight, Transformers, Battleship, Ghost in the Shell, Geostorm, Lara Croft and Pacific Rim, is all too well aware of the difficulties. “It is really challenging filming here because it’s such a busy place,” he adds. “We might have 50 trucks on a production, and it’s really not easy to find a parking space for them. We have to tell the crew they can’t drive to the set. Nesbitt concludes by reflecting on just why Stan Lee’s Lucky Man has proved so popular over the past two seasons. He reckons that one of the principal reasons is because Harry represents a very British type of superhero. “At his core, Harry is a good man,” the actor muses. Finally, are there any similarities between Nesbitt and Harry? “Clearly there are bits of me in him,” the actor admits. “I recognise the isolation he feels. There are certainly times in my life when I’m away from home and on my own. I also really love his dryness. But unlike Harry, I have never been a big gambler.